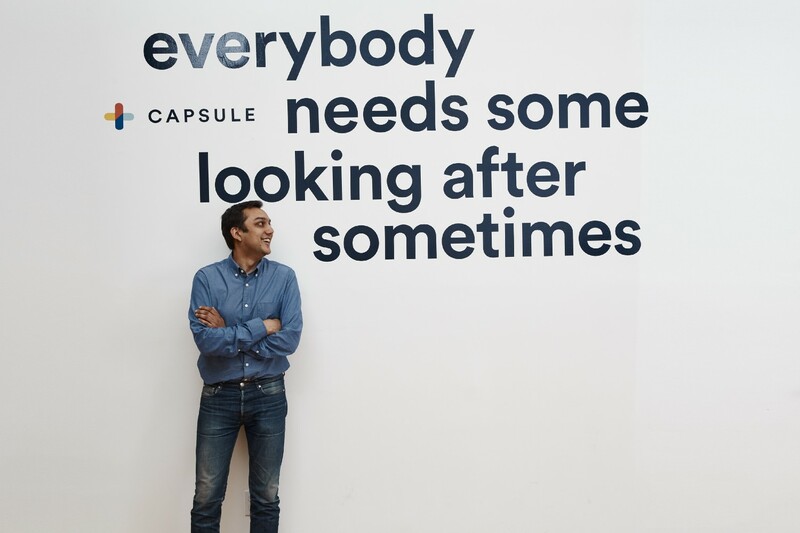 I had the pleasure of interviewing Eric Kinariwala, CEO of Capsule. Capsule is a next-generation pharmacy that is here to make your life simpler and healthier. I grew up in suburban Detroit and spent the early part of my career investing in retail, healthcare, and technology companies. I was lucky from the start to learn and be mentored in the investment business from some of the very best people in the industry. One morning in early 2015, I woke up with a throbbing headache, which resulted in an awful pharmacy experience, where everything that could go wrong, went wrong. That was the spark that led me to start Capsule. It brought together thematically the big structural shifts in the retail and healthcare industries that I’d explored as an investor, and it led me to reconnect with an old friend who became Capsule’s Chief Pharmacist, Sonia Patel. Not long after we launched, a woman texted our pharmacist at 9:00 PM: “Sonia, is it safe for me to take this medication while I am pregnant?” And then “…you’re the first person I told that I’m pregnant! I haven’t even told my husband yet.” It was this crazy moment for us because our biggest question before we launched the business was how customers would respond when we removed the face-to-face human interaction with a pharmacist. We’ve learned through thousands of interactions just like that one, that our emotionally-resonant experience and technology are enabling super-human interactions between our pharmacists and consumers. We have always believed the best brands and best companies are internally and externally aligned. At Capsule, the promise we make to our customers is “everybody needs some looking after sometimes” — that we’ll make your life easy and anticipate your needs. We work hard every day to translate that to how we operate internally and how the team looks after one another. It’s that alignment between how we internally operate the business and treat each other and externally with how we deliver on our promise to our customers that makes Capsule special. Insurance pricing for medication is opaque and complicated. Our “looking after” promise to our customers means that our team proactively lets them know what we know, what we don’t know (and anticipate they’ll want to know), and a timeline for next steps so they’re not left guessing when they’ll hear from us again. Similarly, when we’re launching a new product internally, our product managers provide the same kind of context to our team — what we built, how we’re going to measure success, and when we’re going to measure it. In this way, our team feels looked after by our product managers — like no stone has gone unturned — and is thereby able to internalize this level of confidence to drive trust and confidence in our relationships with our customers. I’m a big believer that people should double down and focus on their strengths versus spending all of their energy correcting “weaknesses.” Everyone has a superpower, and it is the CEO’s job to unlock what that is in every person. When people are focused on their superpower, they thrive. I’m incredibly grateful to our Chief Pharmacist, Sonia Patel, who has endlessly educated me on the ins and outs of how pharmacies work, and has been building Capsule with me since day one. Her passion, compassion, and energy for building the very best experience for our customers, doctors, and partners inspires me every day. When people tell our pharmacists things like, like “I get borderline emotional when I think about how much easier Capsule made my life” or “So good I wish you could walk me down the aisle at my wedding,” we know that we’re removing friction and helping our customers to not only manage their medications, but also trust that we’re looking after them and their healthcare holistically. Can you share the top ways that technology is changing the experience of going to the doctor? The entire experience of going to the doctor, including not even having to physically go to the doctor, is changing end-to-end. From being able to book an appointment online via platforms such as ZocDoc to getting a physician’s advice from your phone via apps like AmWell or Lemonaid to Capsule, end-to-end, technology and the consumerization of healthcare is enabling people to have more choice and more control in how they interact with their physicians to obtain medical advice, medications, and follow-up care. I had a professor at Stanford share a quote that’s served me well: “Don’t mistake vagueness for compassion.” By softening the message of something that needs to be articulated directly and clearly — even if it’s “tough news” — you’re not being compassionate. Being compassionate is being direct, clear, and straightforward.